Welcome to another week and another fabulous giveaway! 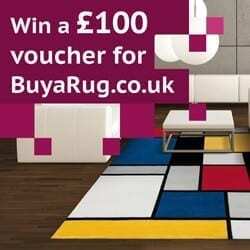 This week I have a £100 voucher for you to spend on a lovely new rug for your home. 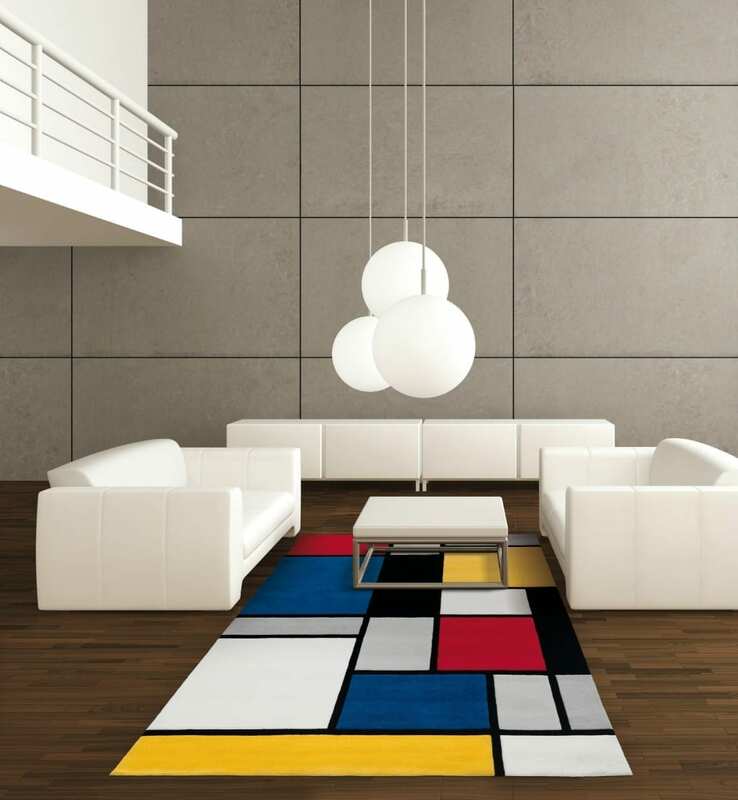 BuyaRug.co.uk offers a massive range of rugs, carpets and mats in a huge variety of styles, colours and sizes. With thousand of rugs to choose from, there’s something for every room, every taste and every budget and simple browsing means you can find the right rug in next to no time. You can start by picking from Modern, Children’s, Shaggy and Traditional rug types, and then dig deeper to choose from specific brand ranges and styles. Or you can pick your rug by starting with a colour to complement your home’s decor, and with thousands of choices there’s sure to be something for you. The huge range of rugs means there’s a choice to fit any budget. Set minimum and maximum price limits to easily find rugs in your price range. And you can search by colour and style at the same time to choose the perfect rug for the perfect for your home. You don’t even have to struggle home with your rug – have it delivered to your door quickly and hassle free. Home delivery is always free, so the price you pay starts low and stays low. and leave a comment letting me know you’ve done it. The prize is a £100 voucher to spend at buyarug.co.uk. There is no cash alternative. Entrants must Tweet the text and leave a comment saying they’ve done it. A separate comment must be left for each entry. Previous Post Style Chat: Would you Live the Rural Life? I am sorry but I accidentally put this twice. Follow Love Chic Living on Facebook an Liked and Shared the competition post. I’m a fan of Love Chic Living on facebook. I followed Love Chic Living (@yyesidolikecake). I liked Love Chic Living (Isabel O’Brien). I am now following Buyarug on Twitter. Done as @EmilyK1983 – great comp, thanks! tweeted!! @emily_4444 hope i win! Following – Love Chic Living on Facebook as cecelia allen – BuyaRug on Twitter – Love Chic Living on Twitter as @cistolic. I have tweeted @clairewoods32 – thank you. I am following @BuyARug as @LondonBirdLucy 🙂 Fab rugs!!! I Follow Love Chic Living on Facebook. 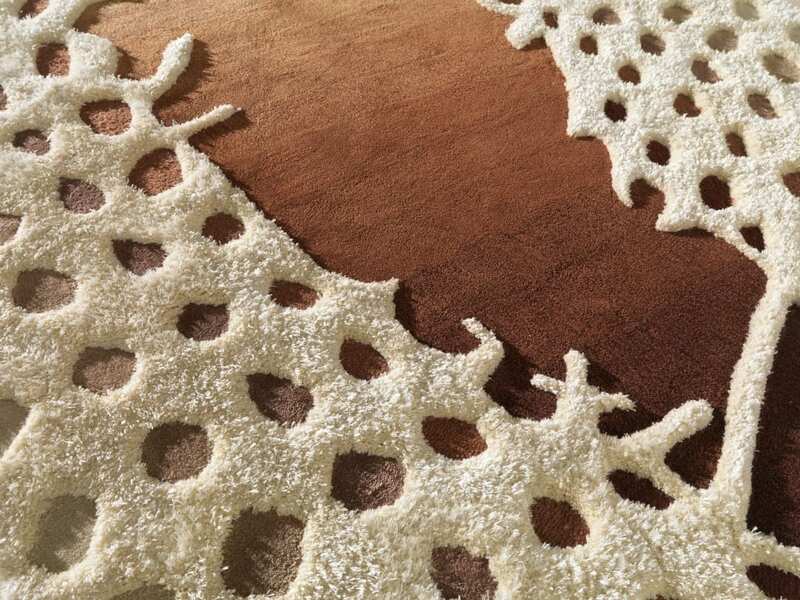 I’ve never seen such gorgeous rugs so I desperately need to win it. I followed Buyarug on Twitter. I followed lovechicliving on Twitter. I Follow BuyaRug on Twitter. I am following @lovechicliving on twitter. Message tweeted. Fabulous prize – fingers crossed! I liked lovechicliving on facebook! Following and Tweeted @mintcakefrog ! I follow you on Facebook as Ali Thorpe. I follow you as @alicomps on Twitter. I follow @BuyaRugUK as @alicomps on Twitter. Following Love Chic Living on Facebook.